Showing 1–24 of 368 results. View 200 per page. 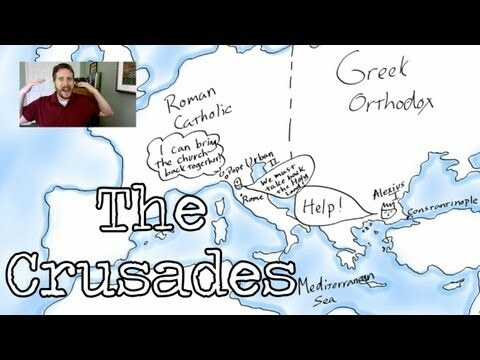 In the video "Crusades," by Mr. Corwin, available on YouTube (9:35), a middle-school history teacher explains it all, with good visuals. It is appropriate for use on day 3. The video "Mary in 2 Minutes," available on YouTube (2:43), addresses many important questions regarding Mary to support day 1 activities. 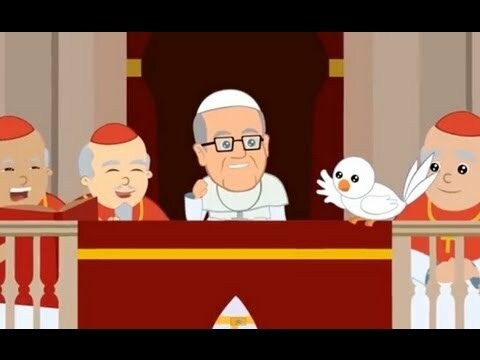 A fun cartoon detailing the life of Pope Francis. 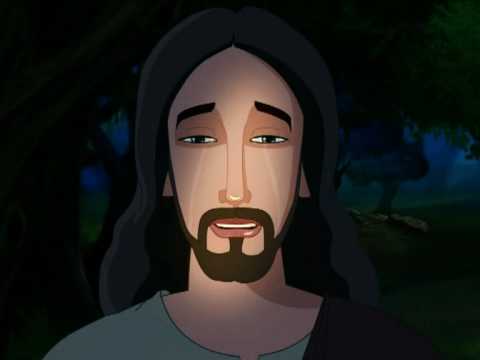 The song/video "Jesus the Lord,” by Roc O’Connor and the Saint Louis Jesuits," available on YouTube (6:24) with lyrics, is best used on day 4. Students are challenged to write a speech as if they were a member of Pope Francis’ synod addressing the problem of cyberbullying. Students order important events from the 19th and 20th centuries. The worksheet poses several questions that ask students to reflect on how they would have stood up for their faith during the French and American Revolution. A word search using terms related to the Reformation. Students design a monastery based on the responsibilities and needs of the monks. Unscramble the names of the Church Fathers below. Then, under each unscrambled name, write one important contribution that the Church Father made to the Church. 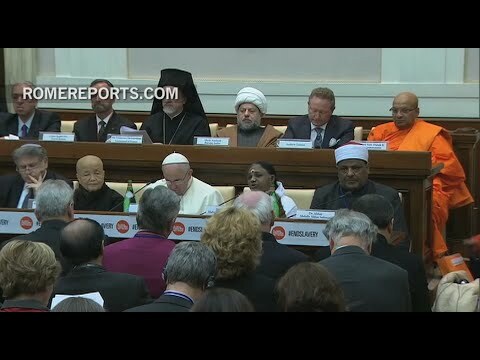 The video "Pope Francis Joins Religious Leaders of Different Faiths, in Fight against Modern Slavery," by Rome Reports, available on YouTube (3:07), shows people of faith working together to eliminate one of the world’s greatest evils, slavery. It is best used on day 4. 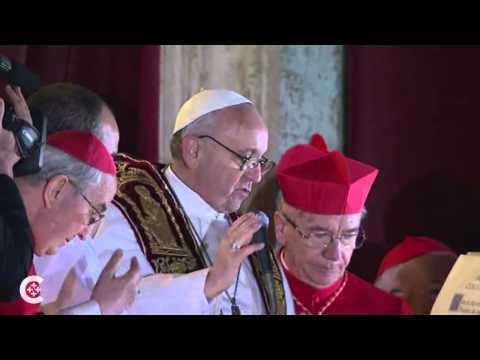 The video "Pope Francis in Action," by Catholic News Service, available on YouTube (1:26), features the Pope at World Youth Day 2013. It is best used on day 3 or day 4. 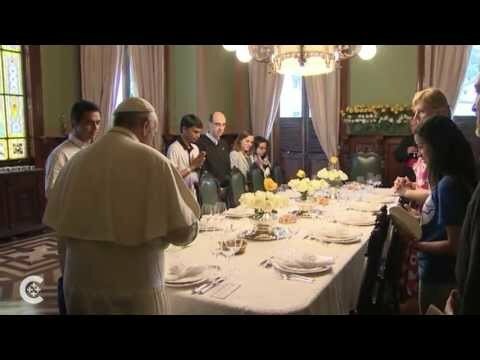 The video "Pope Francis Speaks," by Catholic News Service, available on YouTube (9:27), is a video of the Pope’s remarks from the balcony of Saint Peter’s on the night of his election. It is best used on day 3. 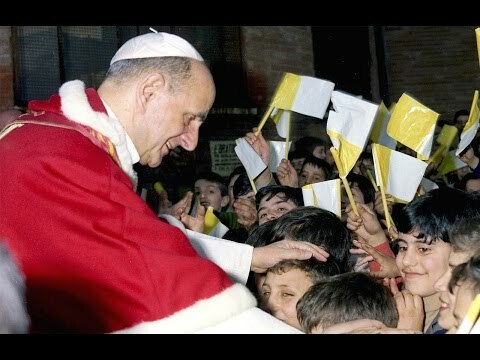 The video "Pope Paul VI—The Pilgrim Pope," by Salt and Light, available on YouTube (2:37), chronicles Pope Paul VI’s role in the Second Vatican Council, increasing Christian unity—including lifting the excommunication of the Greek Orthodox Patriarch—and bringing the Good News to others. It is best used on day 1. 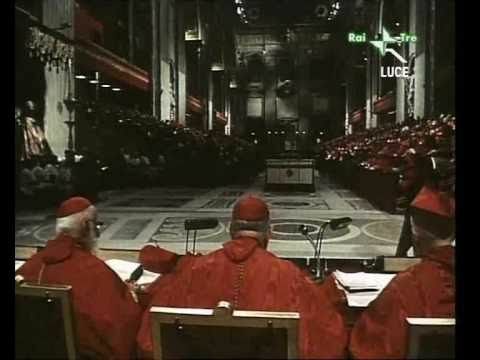 The video "Vaticanum Secundum (Opening of the Second Vatican Council)," by Caeremoniale Romanum, available on YouTube (3:33), is the opening ceremony of Vatican Council II. The first of three videos. In Italian (no subtitles), but the pictures are worth a thousand words. It is best used on day 3 or day 4. 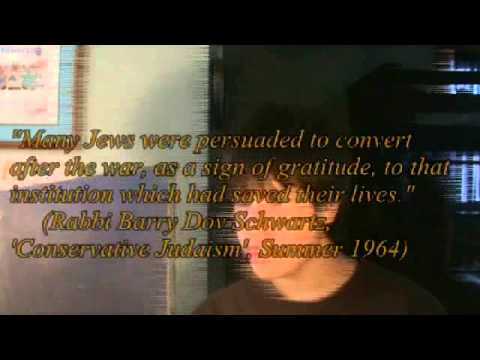 The video "The Catholic Church during World War II," by heptagonofnerds, available on YouTube (2:47), is done by a teen and addresses the issue of the Catholic Church and the Jews. It presents realistically what Pope Pius XII and the Church did to help the Jewish people. It is best used on day 2. 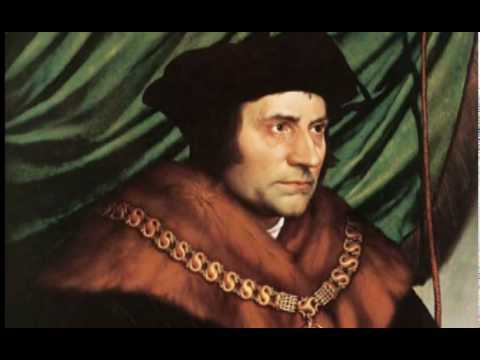 The video "St. Thomas More," by catholicnewsagency, available on YouTube (2:01), shows the strong Catholic faith of Saint Thomas More and how he stood up to King Henry VIII instead of recognizing the Church of England. It is best used on day 3. 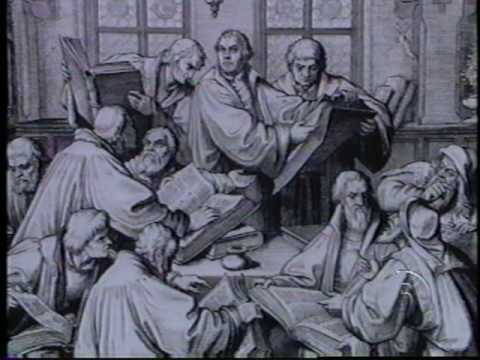 The video "Turning Points in History—The Reformation," available on YouTube (2:28), is a good presentation of the conflict between Martin Luther and the Catholic Church. It is best used on day 2. The video "Fall of the Roman Empire," available on YouTube (12:44), is an entertaining crash course in Roman history. 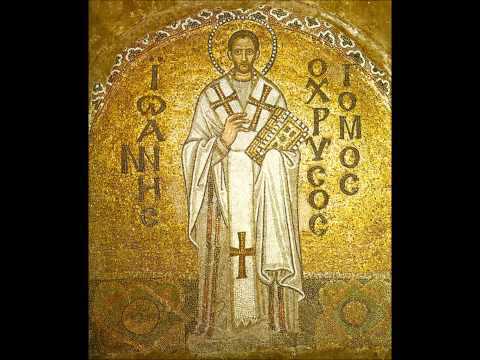 Two segments show the differences between the Eastern and Western Empires (begin at 5:06) and the Eastern and Western Churches (begin at 10:52). 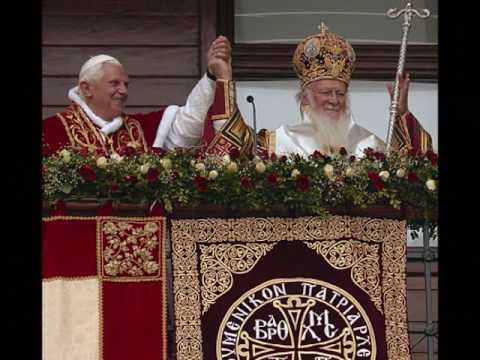 The Patriarch of Constantinople is not a "pope" in the same way that the visible head of the Roman Catholic Church is the Pope. The patriarch is "first among equals," and his authority is more diffuse than the authority of the Roman pontiff. It is best used on day 4. 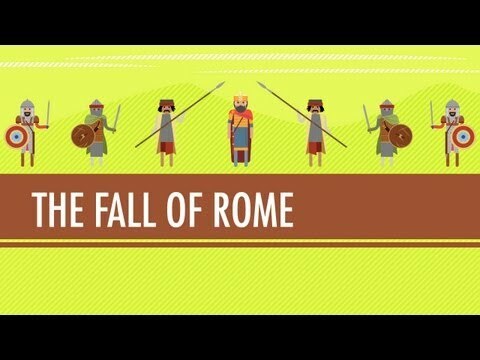 The video "Fall of the Roman Empire: History for Kids," available on YouTube (2:33), is a quick overview of why the Western Roman Empire fell. It is best used on day 4. 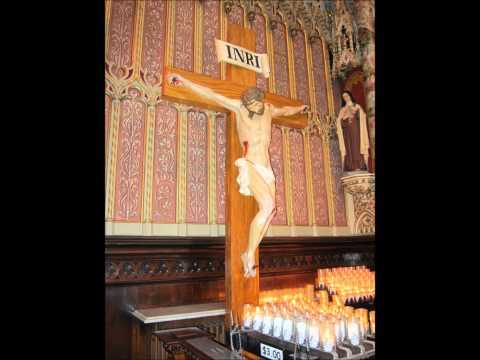 The video "Catholic History in Less than Five Minutes: (4) The Early Church Fathers," by Pat McNamara, is available on YouTube (4:47). It is best used on day 1. This handout guides students as they become familiar with searching for information in the Catechism of the Catholic Church.